About a month ago, I was lucky enough to be set up at the MAKE UP FOR EVER LA Boutique. Unfortunately, that particular day we were in the midst of a heat while simultaneously having a broken air conditioner. I was not going to blow dry my hair. It is with that caveat that I say please do not judge these pictures by my hair. I arrived at what can only be described is where makeup goes to die. It’s the ultimate in cosmetics. It was….home! I had a ton of fun, and was lucky enough to have had my makeup done by a very brilliant makeup artist. She walked around the store and asked me what I was looking for most. Here are my 2 things: I have really oily skin which means my face makeup is gone by 12 PM if I put it on at 9 AM. I need something to keep the makeup longer lasting. The other thing was my inability to find a concealer that would properly conceal my dark circles. She said that the think she absolutely would solve the make up melting issue is the Super Matte Loose Powder in White (translucent) (1). The concealer problem was solved by HD Concealer Invisible Cover Concealer #315-Ivory (4). Once she showed me the different lines MAKE UP FOR EVER has, we sat down with the foundation and face makeup for her to show me how the super Matte Loose Powder was going to rock my oily face for good. It did not disappoint, and it does keep my makeup looking good. We decided one of the best ways to really see how things are working is to do only half of my face to show the difference. You can see below what the face makeup+blush look like on one side of the face and you can see the difference. The way she was able to even out under my eyes is a feat never done before. I was thoroughly impressed. The other products she used are the Microperfecting Primer HD in #5-blue (2), Matifying Foundation Mat Velvet in #20 Ivory (3), Duo Mat Powder Foundation in #200-Opalescent Beige (6), Camouflage Cream in #19 (5) and Sculpting Blush in #12-Matte Rosewood (7). For the week previous to my visit I had been looking at every makeup line I could think of to find a hunter green eyeliner. You’d be surprised how hard it is to find the right shade of green. It was either too grass green, or too lime green. I went to look at the other colors of my new favorite eye makeup Aqua Shadow and found the perfect hunter green in #8E-Matte Green. Once I found the eyeliner she knew that I needed to see that on, and so she used it with a color I had already which is #20E-Pearly Taupe. To finish off my eyes she used Aqua Brow in #20-Light Brown (I already owned it) to sculpt my eye brows. The beautiful lip color is Rouge Artist Natural in #N10-Iridescent Copper Pink. In all I was so thoroughly impresses, but mostly admittedly of the Super Matte Loose Powder, because it really does set my face makeup to make sure I don’t melt anymore. I put it on after my foundation before face powder. It’s a real makeup saver. I received the Aqua Shadow and Aqua Brow at the #StyleSuite event during my time in New York for BlogHer ’12. I received the consultation at MAKE UP FOR EVER at no cost. The opinion above is my own swayed only by my inner Fashionista. Candice Kahn has written 808 post in this blog. Candice is a mom of 3 in Los Angeles, CA, and the Owner/Editor-in-Chief of Fashionably Organized. Her obsession with researching products to get the right price, has made her the go-to shopping guru for her friends. 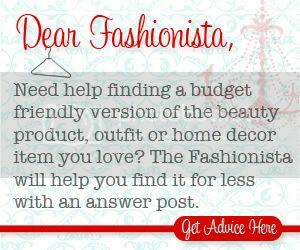 Here she writes about fashion, beauty and shares her love for home decor and DIY. In 2012 she began CB Media Solutions her company that offers brands and clients professional virtual assistance and social media consulting. How lucky for you; that was a great consultation! I’m a beauty junkie, so I was love being in that store.